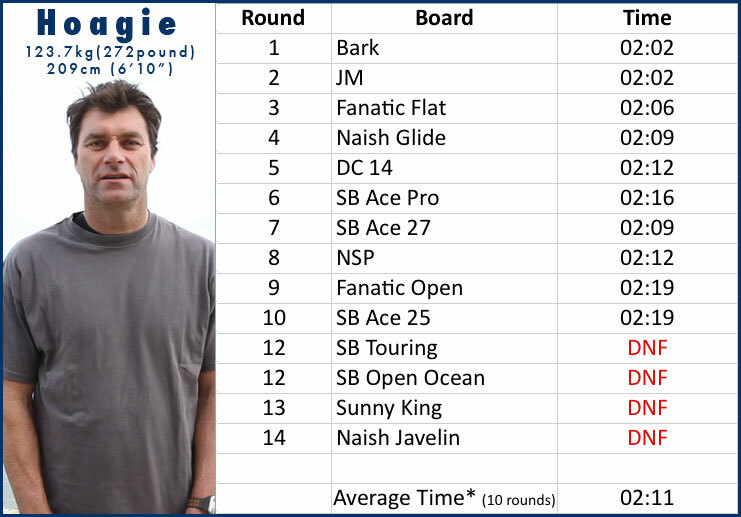 So it’s all good and well to say that this board or that board was the overall fastest board, but what does this mean to you? 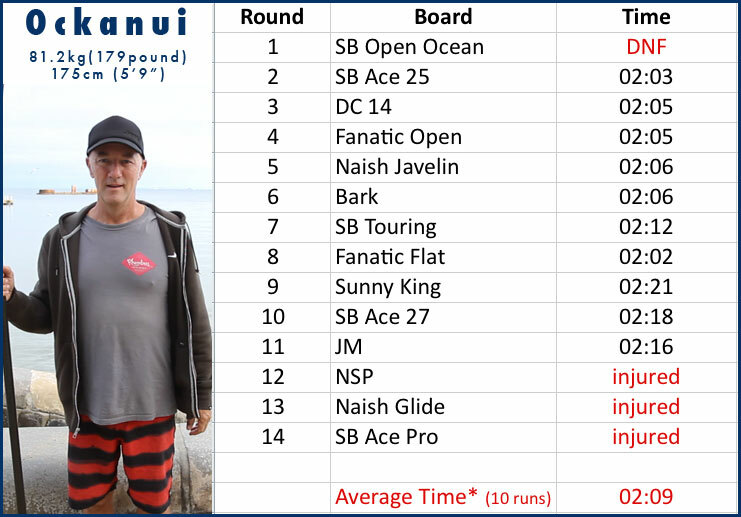 Probably of greater benefit is not so much knowing which board went fastest for an elite paddler, but rather, which board is best for you. Hopefully these results can help you choose, but the best advice we can offer is demo, demo, demo. 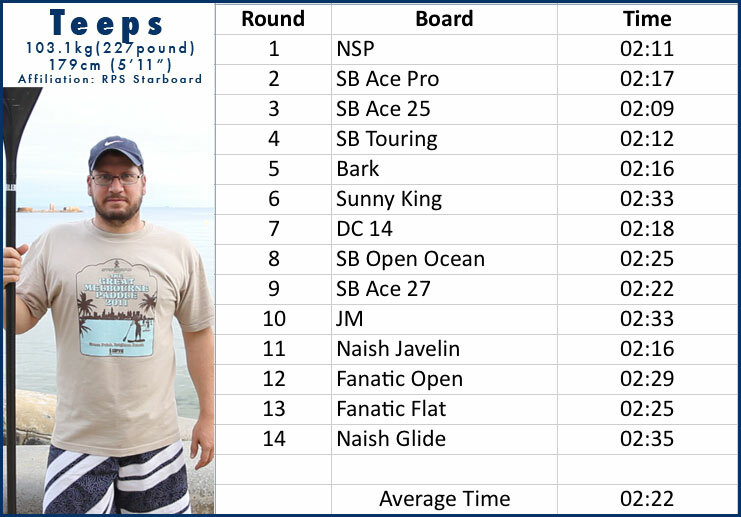 Use these results to help you decide which boards are most likely suitable for you. 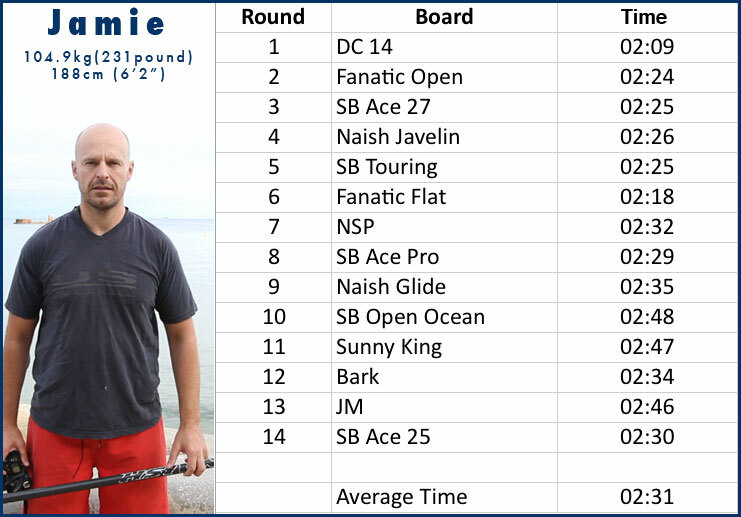 Check out the paddlers in the test whose height and weight most closely matches your own and see which boards they set the best times on. You will find next to each paddler is their weight in kilograms and their height in centimetres. 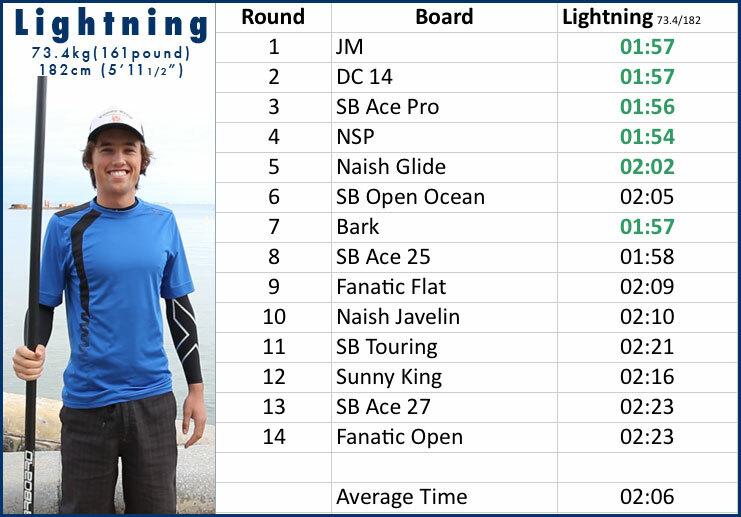 Importantly, this shows what ORDER in which each paddler rode the boards, so you can see the accumulative effects of fatigue and rising wind throughout the morning. 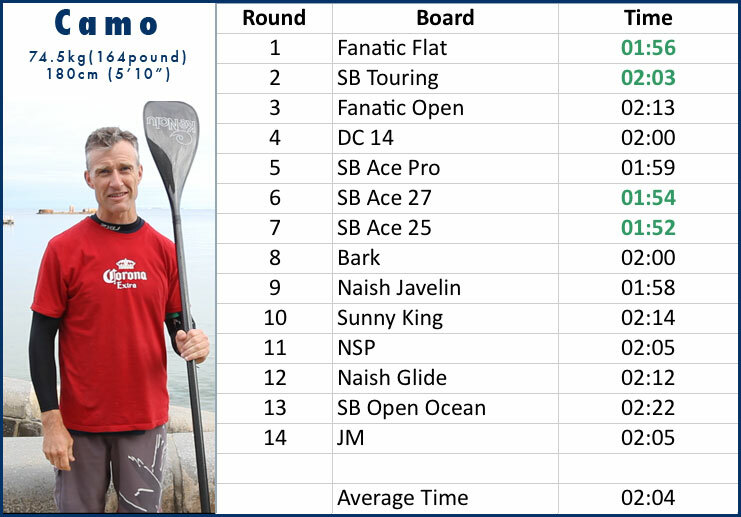 It also shows what height and weight each paddler is, and on which boards they posted their best times. We will leave it up to the reader to make allowances for the later times and fatigue, etc. 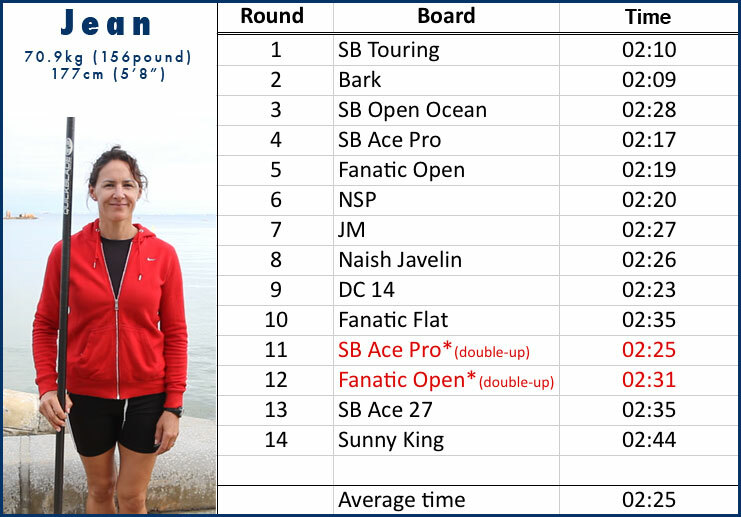 Paddlers are listed in alphabetical order.